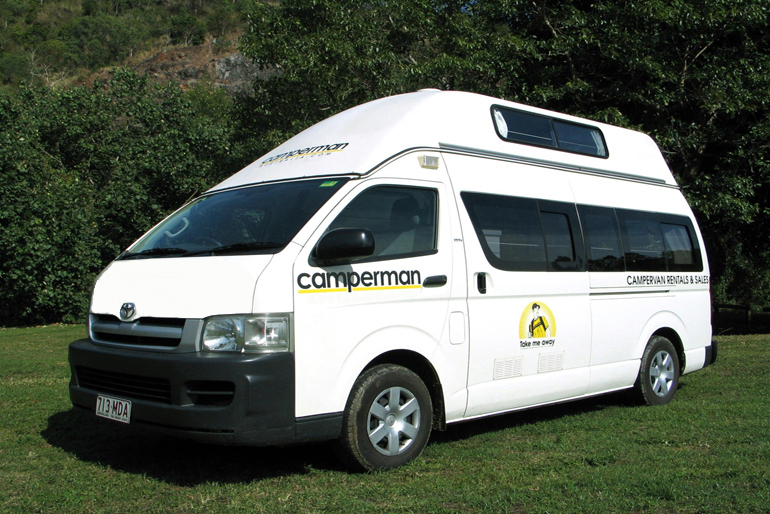 Paradise Family 5 seat high top campervan is a massive 2007-2011 model Toyota with facilities to sleep up to 5 people (2 double beds and a 2 man tent with camping gear provided) and 2 optional child seats. 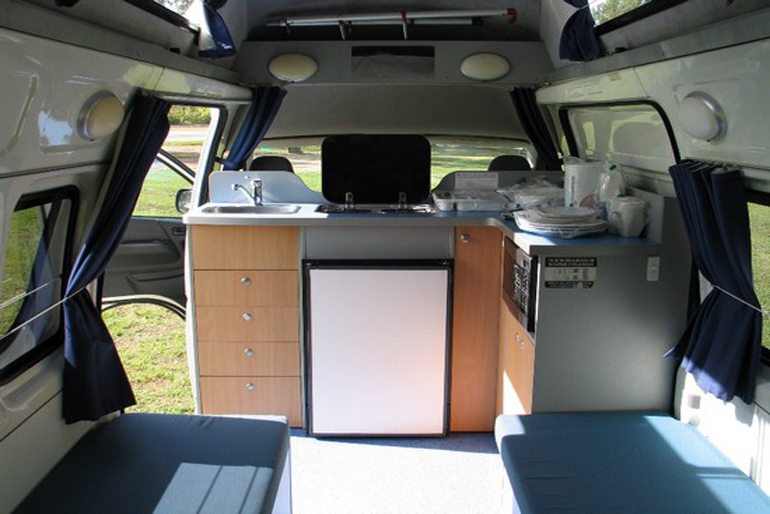 It offers travellers like yourself the freedom to choose your own way around Australia in a campervan. 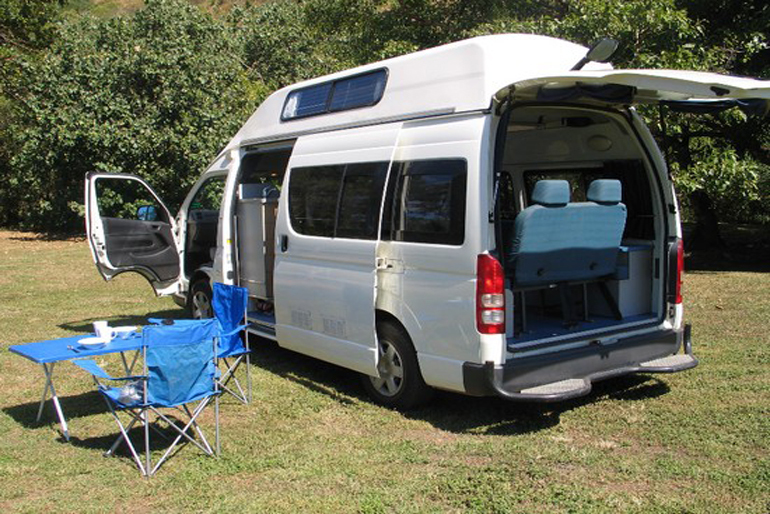 Featuring a larger fridge, cooking facilities, running water and plenty of space, the spacious and comfortable Paradise Family 5 seat high top is the perfect alternative to motor homes for families and groups looking to save money without sacrificing comfort and reliability. 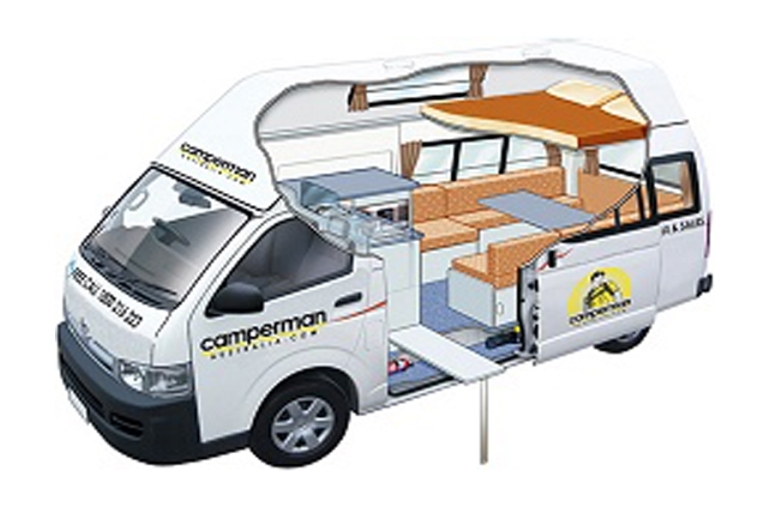 Note: Tent is included if 5 people travelling. 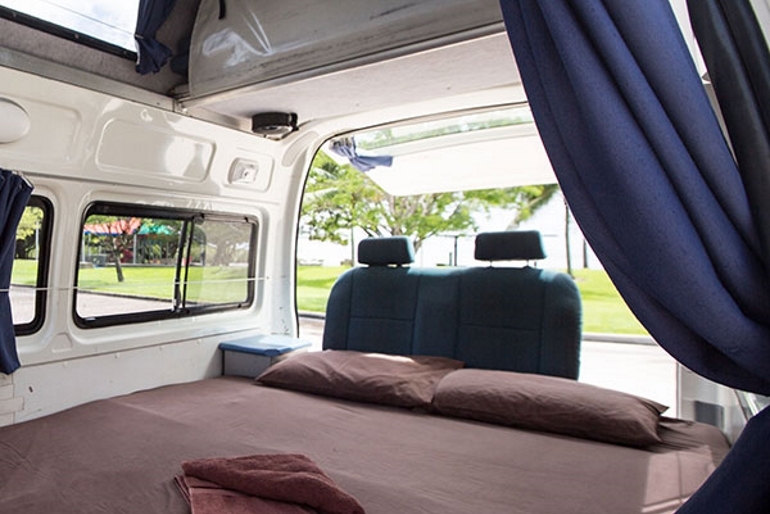 If you would like a tent and camping mats and travelling with less than 5 people, there is a $70 charge. Child Seats: Child Seats 2 anchor points in back row = 2 baby seats (forward or rearward facing) in back row. No anchor point in the front of the vehicle. Booster seats and baby seats must be pre-booked. Please advise age and weight of child on booking. Water Tank: Capacity is 20 - 30 litre. It is recommended to fill this tank daily. Water hose is provided. Cold water only. 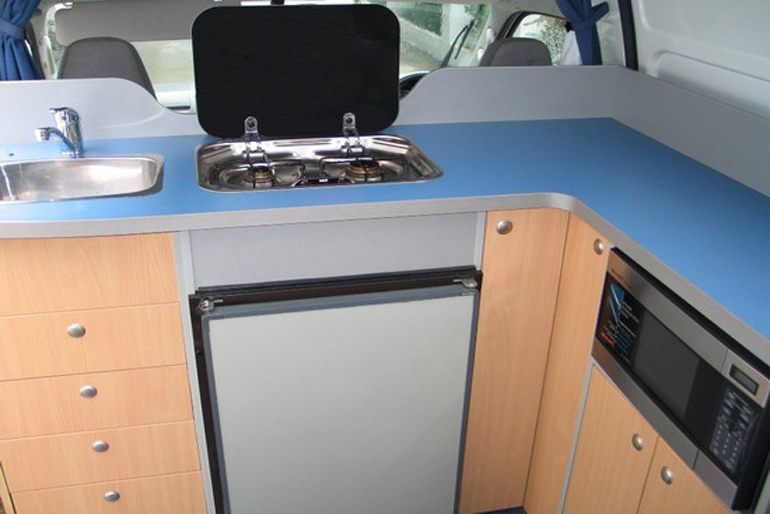 Kitchen Equipment Included: Can Opener, Carving Fork, Egg Lifter, Ladle, Cutting Board, Tongs, Forks, Knives, Spoons, Tea Spoons, Cereal Bowls, Cups, Glasses, Side Plates, Dinner plates, Micro Dishes, Saucepans, Frying Pan, Kettle, clothes hangers.